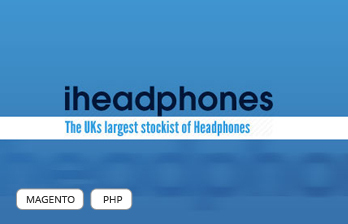 Client has setup his company in 2006 to become the UK’s biggest and best dedicated headphones store. 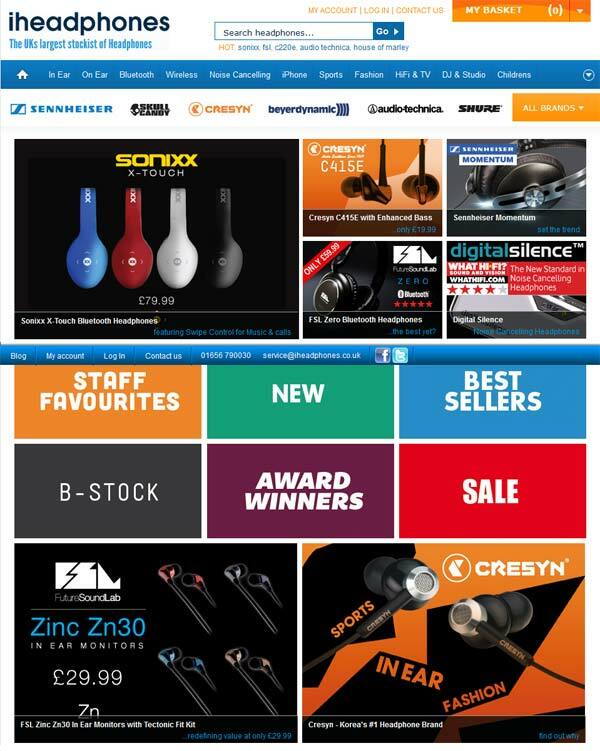 Over the years client has gone from strength to strength, building up a huge product range, possibly the biggest in Europe when it comes to headphones. They have built up great relationships with the world’s biggest brands in headphones such as Sennheiser, AKG, Shure, Beyerdynamic as well as the new breed of headphone brands such as Skullcandy, Aerial7, WeSC and Coloud. This project was developed by someone else and awarded to Silver Touch for improving website performance and do further development enhancement. This website has been developed in Magento Open Source Code Base – Version-1.4.1.0 with MySQL 4x database. Client has already chosen Magento as a proposed solution for this project prior to contact with Silver Touch. Silver Touch has improved website performance by applying techniques like Image Sprite, CSS & JS Minify, Ser ver Side Setting, APC (Alter native PHP Cache) Installation, Log Clearance and Image Resizing. Initially page load time was 15+ seconds and we get it reduced to 5 to 7 seconds. Silver Touch has redesign entire website with new color scheme. Client requested us to integrated “Checkout By Amazon” payment method for placing an order on his website. Silver Touch has integrated it successfully. Client has also asked for multi website set up on the same Magento set up with complete new design. 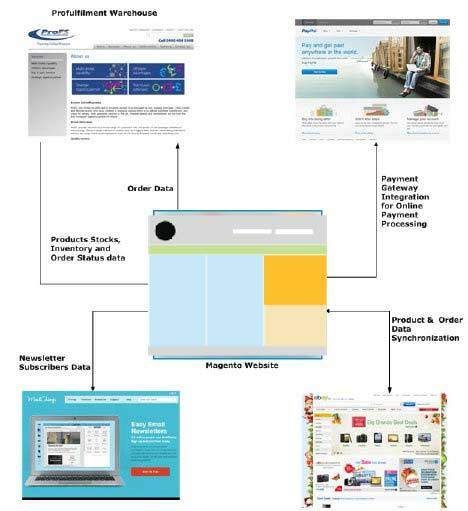 For quick order placement, we have suggested client to integrate One Step Checkout extension. Client agreed to it and we have integrated it with customization for coupon and voucher code. There were also issues in online payment processing on this website through PayPa l . Silver Touch team had worked on to solve. Client had been using this warehouse system www.profulfilment.com. To integrate this warehouse, client had been using this extension (ampersandcommerce.com/news/warehouse-management-magento-module-realtime-despatch). Silver Touch team had done complete customization and replaced it with custom integration solution. Silver Touch has been asked to integrate Global Sign SSL and we did for secure online payment processing. This website has also been integrated with ebay, American multinational internet consumer-toconsumer. Silver Touch has done it using this M2E extension as suggested by Silver Touch. At front end website, there will be following types of users. This type of user will be ab le to browse a l l the CMS managed pages and product s on the websi te. Website will have Register, Forgot Password and Login functionality as well. Site visitors will NOT need to get registered with the site for making purchases. Guest Checkout is allowed. This type of users will have their personal login infor mation in order to login in the website. This type of user will be able to interact with the website in different manners like, make a purchase, view past orders, re-order, manage address book, changes password and access My Account section. At back end website, there will be following type of user. This type of user will ONLY be one user. This admin user will have full access to all features and functionalities of the website. This user will be able to manage the websites with all different modules mentioned in this scope of document. To improve website performance because Magento CE runs slowly. To redesign entire website with new color scheme for all pages of website. To do further enhancement in website as and when requested by client. The Project was divided into various phases to achieve the best results in less time with optimal utilization of available resources. 4. Phase IV: Magento Implementation + Customization + API Integration. 5. Phase V: Testing all features and making deployment plan. 1. Client is now making good business from the live website.